[London: 18 April 2018] Ballymore is delighted to announce that they have been crowned Developer of the Year at the prestigious Property Week awards last night – the Oscars of the property industry, while London City Island, the new cultural hub for London, won the much coveted Placemaking Award – saluting another ‘epic year for the business’. 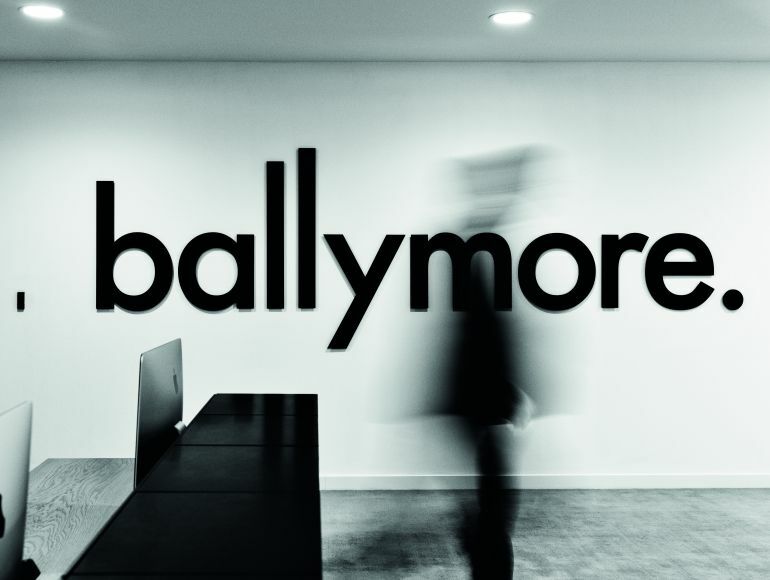 This accolade endorses Ballymore’s 36 years of success, as one of the UK’s most active and pioneering developers, and its unswerving focus on design and quality, allied to a commitment to energising communities through arts, culture and ‘placemaking’. A family-run property developer and one of Europe’s leading developers, Ballymore remains 100% under the control of the Mulryan family. London City Island was recognised as the ultimate placemaking success story, having achieved its vision of becoming a new cultural hub for London which really contributes to London’s arts scene. With English National Ballet moving its headquarters to the island imminently, along with the English National Ballet School and London Film School and joining existing tenant’s arebyte, Studiomakers and Trinity Art Gallery, London City Island has achieved its goal to become a culturally vibrant neighbourhood which is having a positive social and economic impact on the local community. One of Europe’s leading property developers, Ballymore is synonymous with great design, architecture and regeneration. In business for 36 years and remaining 100% under the control of the Mulryan family, Ballymore is one of Ireland and the UK’s largest property developers, with international projects across Central and East Europe. Today Ballymore employs more than 7,000 people, working across its entire portfolio and currently with over 1,000,000sq ft of commercial space under construction. Ballymore is synonymous with the regeneration of whole areas of the Capital, having led the charge in the regeneration of Canary Wharf and Spitalfields, it was the sale of a pocket of Ballymore’s land in Nine Elms to the US Embassy which acted as a catalyst for the redevelopment of this area, the largest regeneration zone in Europe. Ballymore aims to produce residential and commercial developments that set new standards in placemaking, construction, design and urban planning, with each development culturally led and drawing on the character and history of the neighbourhood in which it is found. Ballymore lead each project from conception through to delivery and they remain fully committed to their buildings, long after the last unit has been sold, through their estate management teams. Ballymore’s current development portfolio includes Royal Wharf, London City Island, Embassy Gardens, Wardian London, Good Luck Hope, 161 Marsh Wall, Three Snowhill, Dublin Landings, West Hampstead Square, Providence Tower, Pipers Hill and Royal Canal Park. London City Island will comprise 1,700 new homes set on an island of 12 acres, with independent artisan restaurants, shops, creative hubs and al fresco spaces. The London Film School is relocating to the island, joining English National Ballet and English National Ballet School who are also making the island their new home, cementing the island’s position as a hub for the arts. In addition, east London’s contemporary art walk, The Line, will soon extend to the island and set up an information hub. The first phase of the Island, created by Ballymore, is now complete and fully occupied, Phase Two, a Joint Venture between EcoWorld and Ballymore is currently under construction.